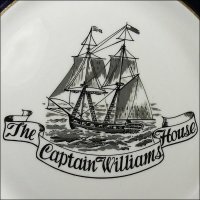 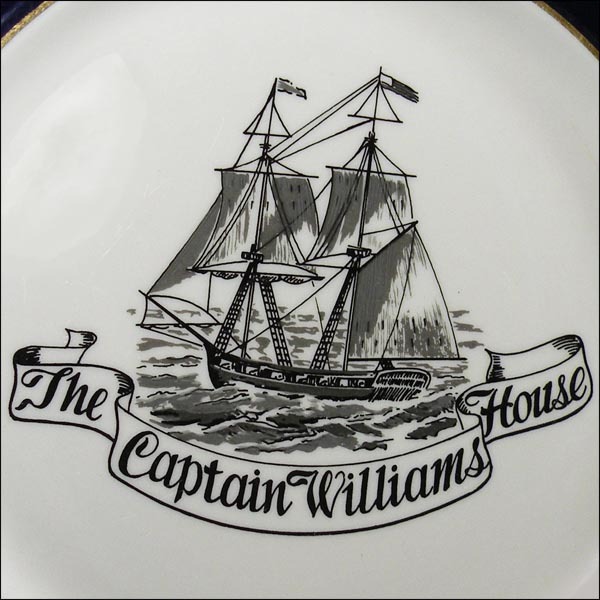 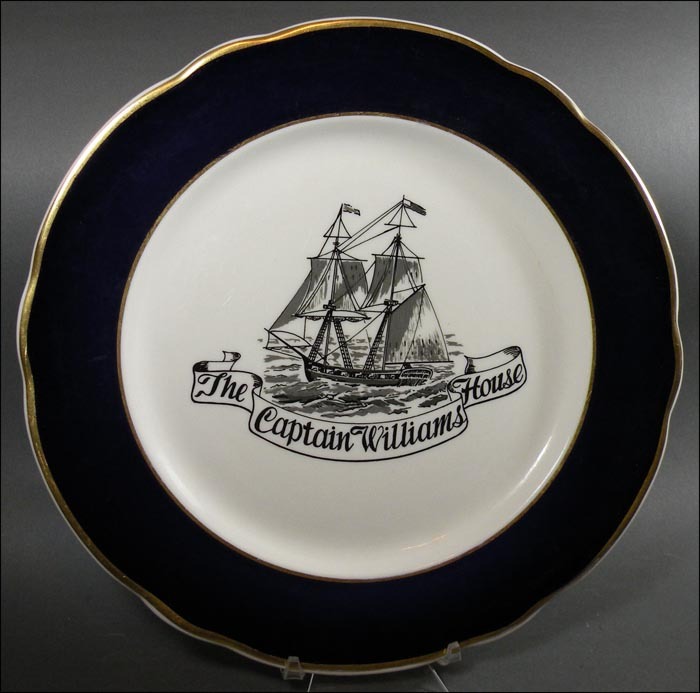 This handsome plate with sailing ship was used at the Captain Williams House – now closed – in Dennis Port, Massachusetts, on the Cape Cod peninsula. 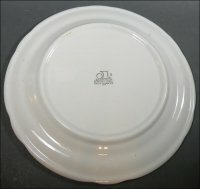 It is heavy and is 10 ¼” in diameter. In excellent condition, it has medium use and stacking marks in the well and on the rim. 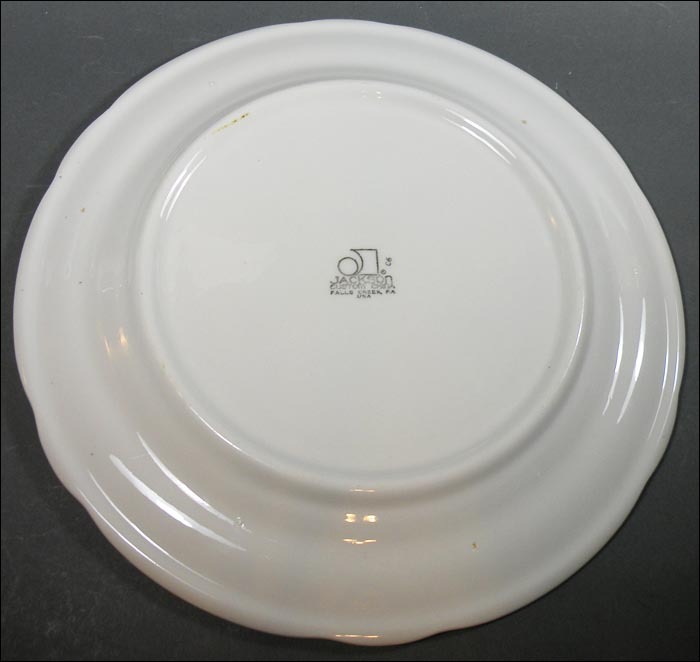 The topmark is bright and shiny.